The Big- and Medium Baitrunners are back and they are fully stocked with the best Shimano technologies. 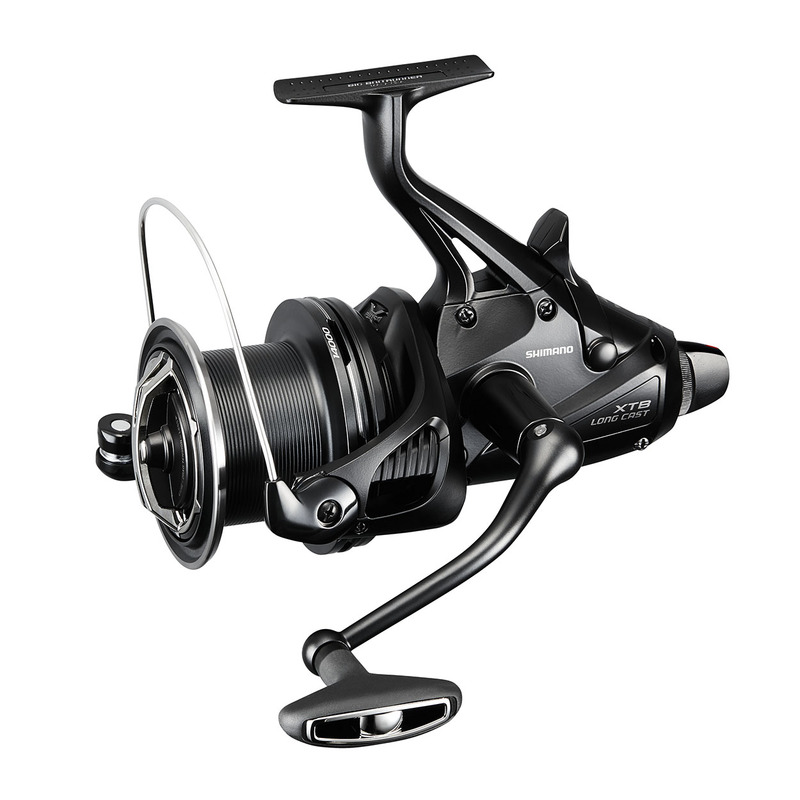 The reels feature a large AR-C spool with slow oscillation in combination with the Aero Wrap II line lay system. This combination ensures maximum distance casting performance. Also on these reels the X-Ship system is present ensuring a smooth power transfer and stability of the gears thanks to the two-point support of the pinion gear by ball bearings. Internally all 4 ball bearings are shielded A-RB for increased durability and the gears have been redesigned to minimise friction and increase power transfer from the long aluminum handle to the rotor. This delivers more torque and winding power making fish playing easier and delivering more control. Available in two sizes, the Big size, with its awesome casting performance is perfect for the largetst carp waters, whilst the smaller Medium version is the ideal choice for medium sized waters where casting distance isn't the most important requirement. Both the Big- and Medium Baitrunner will be supplied with line reducers.